Madrid-based independent studio Grogshot Games recently put their third project into the hands of the public. 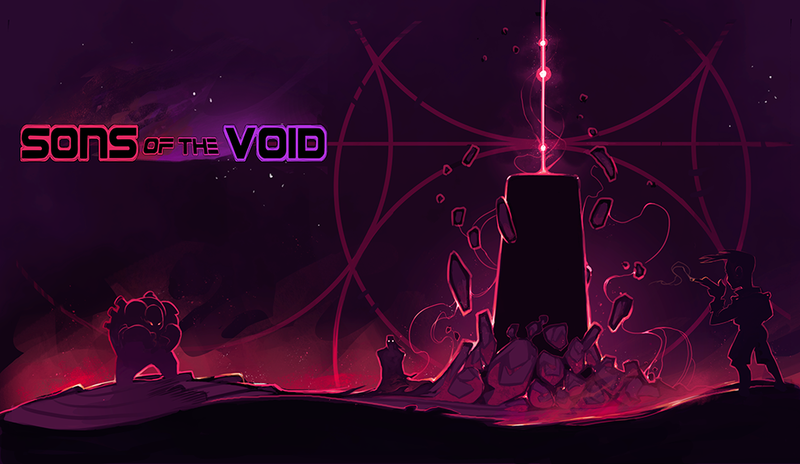 Sons of the Void launched campaigns on both Kickstarter and Greenlight, hoping to get their 2D space dungeon crawler funded. With two mobile games under their belts, this would be their first title for PC, with launch releases for Mac and Linux as well. Sons of the Void puts the player in charge of saving the universe from complete destruction by controlling a three-member squad. Players would also be responsible for building and upgrading your own town and society. Taking jobs from a mouthpiece of the Void, players are able to collect other pieces of the Void, returning it to its full power. Missions are procedurally-generated and can include mini-events that pop up randomly. Earning credits and collecting loot to sell will allow players to upgrade their characters, buy or upgrade weapons, and adding a fancy touch to their town. Aside from credits, performance on jobs also earns (or loses) reputation within the in-game society, determining the player’s ranking. With artistic influences like Borderlands and Wildstar, the characters and world pop. Each Voidling – the term for the playable characters – has a different style, skill set, and abilities to match. At launch, there will be at least nine Voidlings to choose from. While only one character is playable at a time, there are swap mechanics that can be utilized at any point. A simple swap will allow for a complete change in character. A skill swap, however, will utilize another character’s skill on your current situation. Local co-op will be a feature in the game included in the funding goal. This will allow you and a friend to each control two characters on certain missions. If the funding were to surpass the €45,000 (about $50,225) funding goal, stretch goals include: improved soundtrack, weapon mixing, console releases, and new game+.